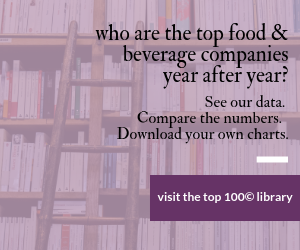 See where Dr Pepper Snapple Group ranked in our 2017 Top 100© Food and Beverage list. You can also read more about Dr Pepper Snapple Group on their page as well. Keurig Green Mountain Inc., nearly bankrupt two years ago, today announced a blockbuster merger with Dr Pepper Snapple Group estimated at $18.7 billion. Or, more accurately, European coffee giant JAB Holding Co. and Mondelez International, owners of Keurig, are buying Dr Pepper and merging it into Keurig. The new company, Keurig Dr Pepper, will have pro forma combined 2017 annual revenues of approximately $11 billion. In addition to receiving $103.75 per share in a special cash dividend, Dr Pepper Snapple shareholders will own 13 percent of the combined company. The boards of directors of both companies have approved the merger. When Bob Gamgort, a former executive with Kraft and Mars, left Pinnacle Foods in 2016 to head Keurig, you knew there was more brewing than coffee. He will be CEO of the new company. Late in 2015, JAB Holding Co. bought Keurig for $13.9 billion in cash. JAB is the majority owner of Jacobs Douwe Egberts, which it shares with Mondelez, as well as Peet's Coffee & Tea, Caribou Coffee and Krispy Kreme doughnuts here in the States. Despite the huge success of its coffee-making machines, Keurig failed in trying to make hot foods (Campbell soup and Quaker oats) in them, and then made a disastrous attempt to create a cold beverage maker. Keurig even committed $337 million in 2014 to buy and renovate a Georgia plant to make the Keurig Kold machines before canceling the project and its Kold machine. Up to that time, Coca-Cola Co. had invested $1.25 billion for a 10 percent equity stake in Keurig. No word on the possibility of reviving that machine with Dr Pepper Snapple flavor pods. Keurig's stock value plunged in 2015, until JAB bought the company. In addition to its namesake brands, Dr Pepper Snapple contributes 7UP, A&W, Mott’s and Sunkist. Larry Young, president/CEO of Dr Pepper Snapple, will be a director. JAB "and its partners" will make an equity investment of $9 billion as part of the financing of the transaction. Entities affiliated with BDT Capital Partners, a Chicago-based merchant bank that provides long-term private capital and advice to closely held companies, are also investing. Keurig and Dr Pepper Snapple will continue to operate out of their current locations (Burlington, Mass., and Plano, Texas, respectively). Gamgort will be based in Burlington. The combined company will draw on the leadership teams of both companies, who will continue running their respective businesses.